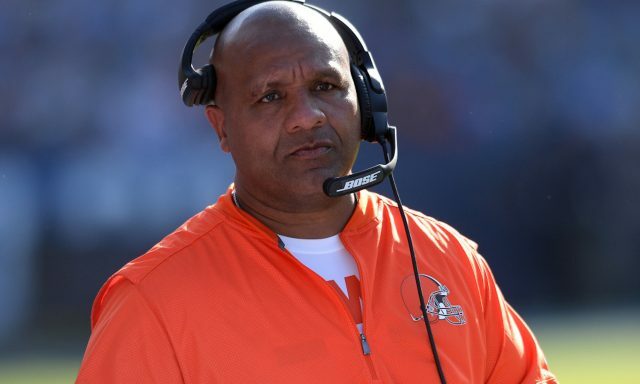 Hue Jackson was relieved of his duties today according to ESPN Insider Adam Schefter, following a 33-18 loss to the Pittsburgh Steelers. The former Browns head coach won just three games and dropped 36 with a tie during his time in Cleveland. Two of those wins and the sole tie came this season, but the Browns seem to be slipping back to old habits with three straight defeats. Their record sits at 2-5-1, with half of those games needing overtime to determine an outcome. His replacement is still to be determined, but Prime Time Sports Talk will have the updates as they come in.